Discover composition elements that will help you create the "WOW" factor. Understand how to use your camera's advanced controls and lenses as creative tools to modify detail, contrast, form, and depth. This course is taught by a professional photographer and intended for students who are interested in specialized techniques such as HDR, focus stacking, night photography, supplemental lighting, panoramas, and tethering. Explore the world of nighttime photography in this hands-on course with professional photographer Toni Toreno. In the first session, Toni will provide a brief review of basic camera settings, techniques and gear before guiding you through the many aspects of nighttime photography. The second session will consist of a field excursion to Sparks Lake where you will actively apply the lessons learned to capture the incredible night sky. In the final session, explore the fundamentals of Adobe Lightroom including basic program functions and editing techniques. Give your landscape photography skills a boost in this hands-on course with professional photographer Toni Toreno. In the first session, Toni will provide a brief review of basic camera settings, techniques and gear before diving in to optimal lighting and finding inspiration. The second session will consist of a field excursion to Smith Rock where you will actively apply the lessons learned by capturing the beautiful landscape during the golden hour and sunset. In the final session, explore the fundamentals of Adobe Lightroom including basic program functions and editing techniques. Do you have digital photos stored in multiple locations? Are your printed photos hidden away in boxes, drawers or closets? 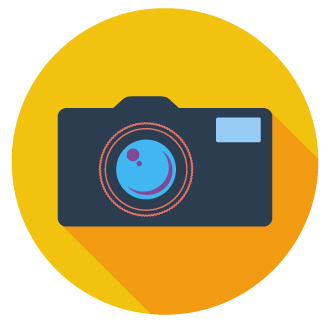 If you are feeling overwhelmed by your photos and looking for a way to better organize and preserve your precious memories, this course is for you. Enhance the impact of your photos by understanding the elements of image composition. Take your camera off "auto" to explore more advanced camera settings. This course is taught by a professional photographer and is intended for students who are familiar with DSLR camera controls and wish to become more proficient with adjustable shutter, aperture and other advanced manual controls. Dive into the world of digital photography. Learn how to capture a beautiful image and use simple photo editing techniques to create a final product. Course includes an overview of basic camera controls as well as post-processing techniques. No experience required. Bring your camera and user's manual. 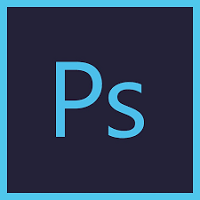 Photoshop is the industry standard for image manipulation and transformation. Learn the essential skills needed to get the most out of this powerful program. Explore which tools work best for specific jobs, how to effectively use palettes and how to customize your workspace.